Hi there! 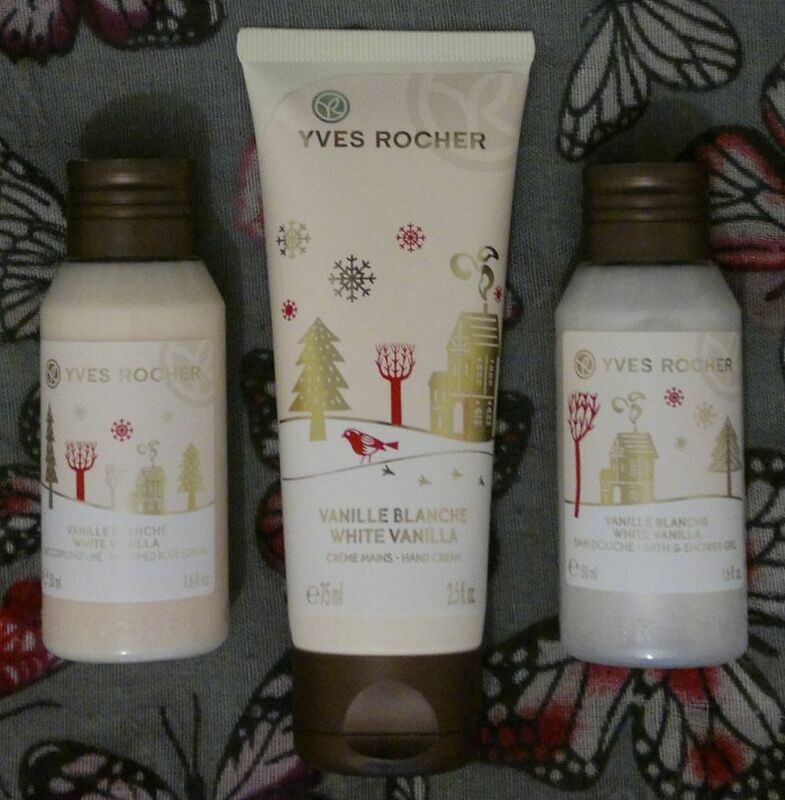 Today’s post is about Yves Rocher‘s Vanille Blanche / White Vanilla Bath & Shower Gel, Perfumed Body Lotion and Hand Cream. I bought these products when they went on sale after Christmas. Onto the review! Yves Rocher‘s Vanille Blanche / White Vanilla Bath & Shower Gel is lovely. I would describe the fragrance as a mix of snow and vanilla. The shower gel is gentle and not drying at all, and I’m very happy with it. Yves Rocher‘s Vanille Blanche / White Vanilla Perfumed Body Lotion smells just as lovely as the shower gel. I also love the light formula. It’s not the most suitable body lotion for dry skin, but it absorbs in no time without leaving a sticky film behind. I think this is the perfect body lotion for when you’re in a hurry. Yves Rocher‘s Vanille Blanche / White Vanilla Hand Cream is my favourite of the bunch! This is the perfect hand cream. It feels instantly nourishing, but it doesn’t feel sticky at all. It makes my hands feel super soft, but it doesn’t feel like “product”. The cute snowy vanilla fragrance is the icing on the cake. Awesome stuff! If you’re interested in Yves Rocher products, you have to look online since, unfortunately, Yves Rocher ceased trading in the UK 2 weeks ago. Hi there! 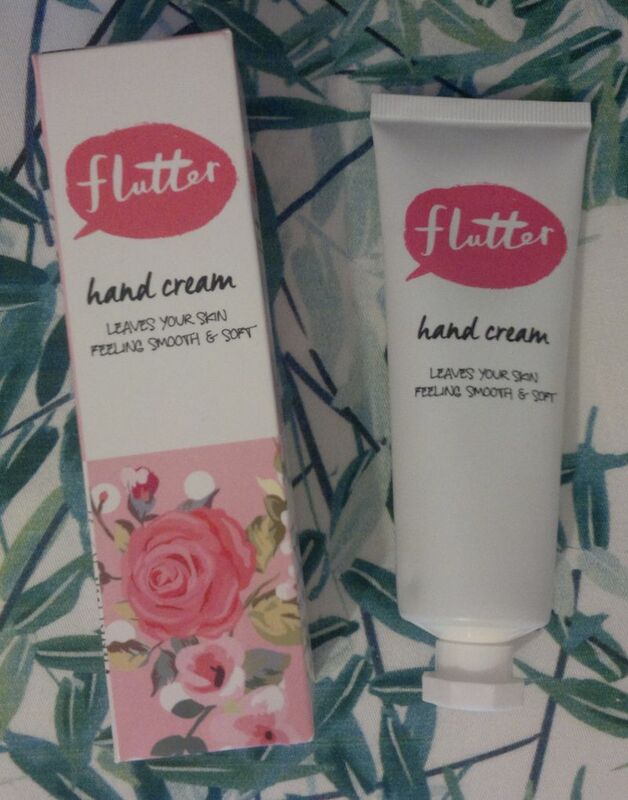 Today’s short post is about Superdrug‘s Flutter Hand Cream. It’s been a while since I bought this hand cream, but the Flutter brand always makes an appearance around Christmas and Valentine’s Day, and this year’s Christmas collection looks pretty much like last year’s! 😉 Now… onto the review! Superdrug‘s Flutter Hand Cream is available as 60ml for £1. In addition, this hand cream is suitable for vegans, and it’s certifed cruelty-free (it carries the Leaping Bunny logo). I think Superdrug’s Flutter hand cream would make a great stocking filler! Hi there! 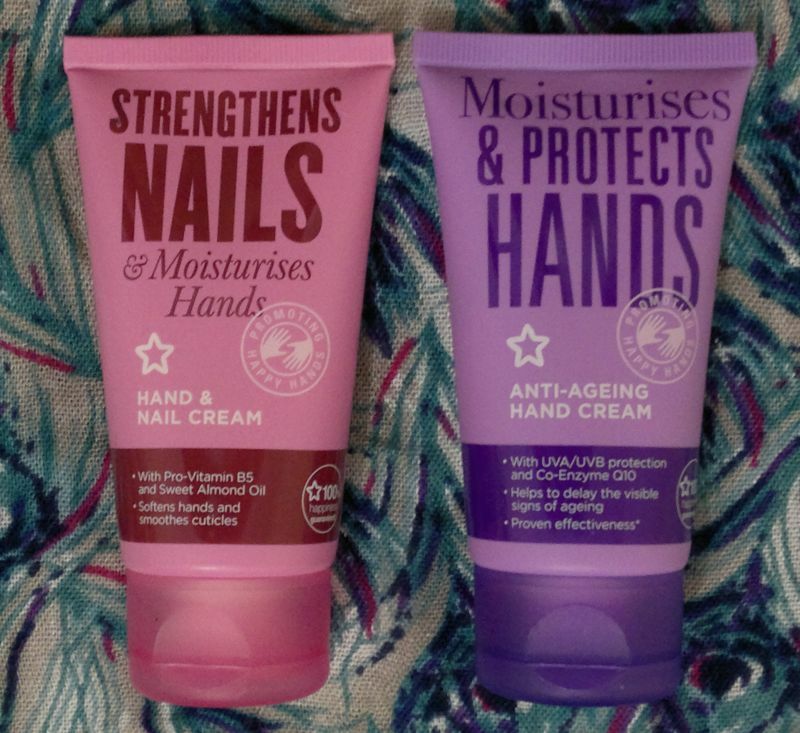 Today I’m reviewing Superdrug‘s Hand & Nail Cream and Superdrug‘s Anti-Ageing Hand Cream. I’ve previously tried 2 hand creams from the same collection, and you can read that review here. Now, onto the new review! Superdrug‘s Hand & Nail Cream contains pro-vitamin B5 and sweet almond oil. It promises to nourish hands and to prevent nails from flaking and breaking. I’ve used this hand cream for a few weeks now, and I think it’s one of Superdrug’s better hand creams. I agree that it’s nourishing and that it makes my hands feel soft and smooth. However, I don’t think it made any changes to my nails, and I’m not a big fan of the weird fragrance (which is best described as plastic pear). I’ll continue to use this hand cream as a foot cream, and I have no doubt it’ll do an amazing job. Superdrug‘s Anti-Ageing Hand Cream with SPF, vitamins A, C and E, and co-enzyme Q10 promises to nourish hands and to minimise the appearance of fine lines, wrinkles and age spots. I don’t think this hand cream can turn back time, but I’m satisfied that it provides sunscreen and that it makes my hands feel soft. I’ve also noticed that this hand cream has a more subtle fragrance which is actually pleasant. I think this is Superdrug’s best hand cream! Superdrug‘s Hand & Nail Cream and Superdrug‘s Anti-Ageing Hand Cream. are available as 75ml for £1.49 each. These hand creams are suitable for vegans, they’re cruelty-free, and they carry the Leaping Bunny logo! I’ve been using this hand cream for a few days now, and I’m impressed. Whilst this hand cream is non-greasy, it moisturises my hands very well. I love the formula! It feels light, it makes my hands feel soft, and it’s not sticky at all, not even for a minute. 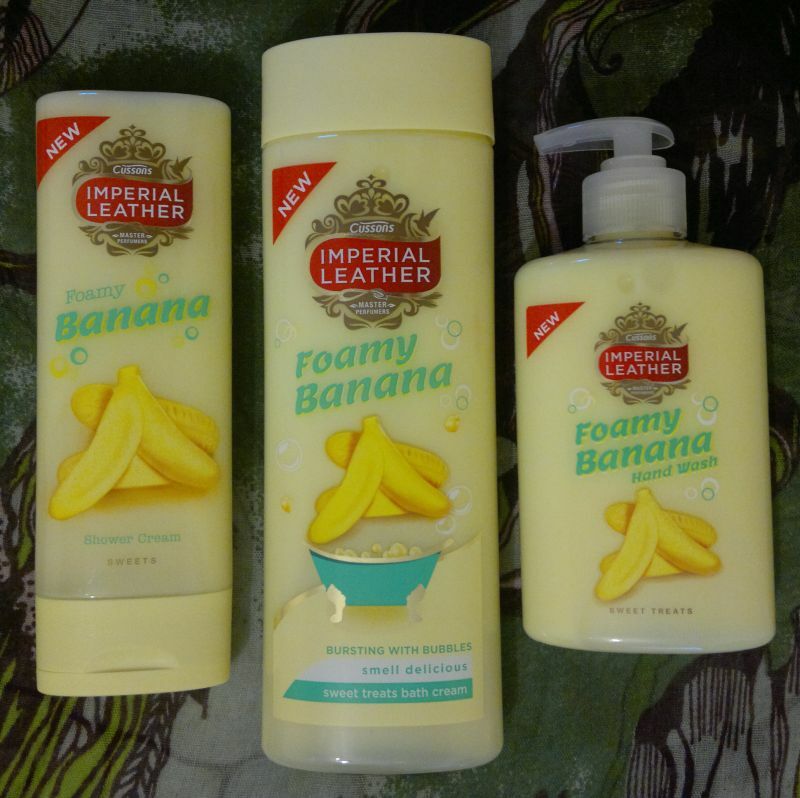 I’d also like to mention that this hand cream smells like pears – the fragrance is pleasant and very subtle! I think this is a great hand cream! I can’t comment on whether it protects my hands from germs, but I’m happy with everything else! 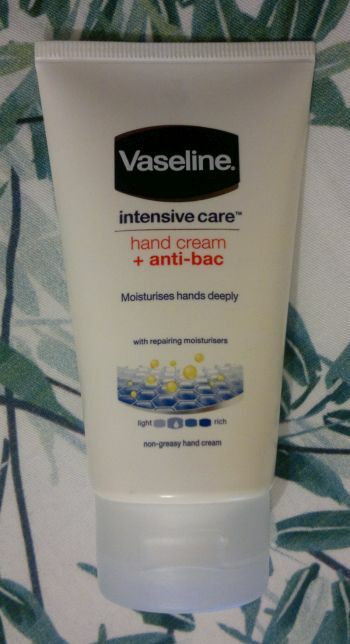 Vaseline‘s Intensive Care Hand Cream + Anti-Bac is available as 75ml. Hi there! Today’s post is about 3 products that were gifted to me – The Body Shop‘s Almond Milk & Honey Calming & Protecting Hand Cream, Soothing & Caring Shower Cream and Body Butter. These products are aimed at people with sensitive or dry skin. I tried the hand cream first – and I liked it a lot! The hand cream feels nourishing, and it makes my skin feel super soft for hours. The almond milk and honey fragrance is sweet and warm – just lovely! The shower cream is quite unusual because it’s pretty much like a cream! It feels nourishing, but it doesn’t really lather up, and it doesn’t feel very cleansing. But it smells great! The body butter doesn’t smell as good as the hand cream or the shower cream, but it’s quick and easy to use because it melts into the skin. Having said that, this body butter isn’t as nourishing as I expected. After 12 hours the skin on my legs felt dry (the rest of my body was OK though). I’m happy that I got the chance to test these products. However, I wouldn’t buy them for myself. Whilst the hand cream is great, I wouldn’t pay £5 for such a tiny tube! 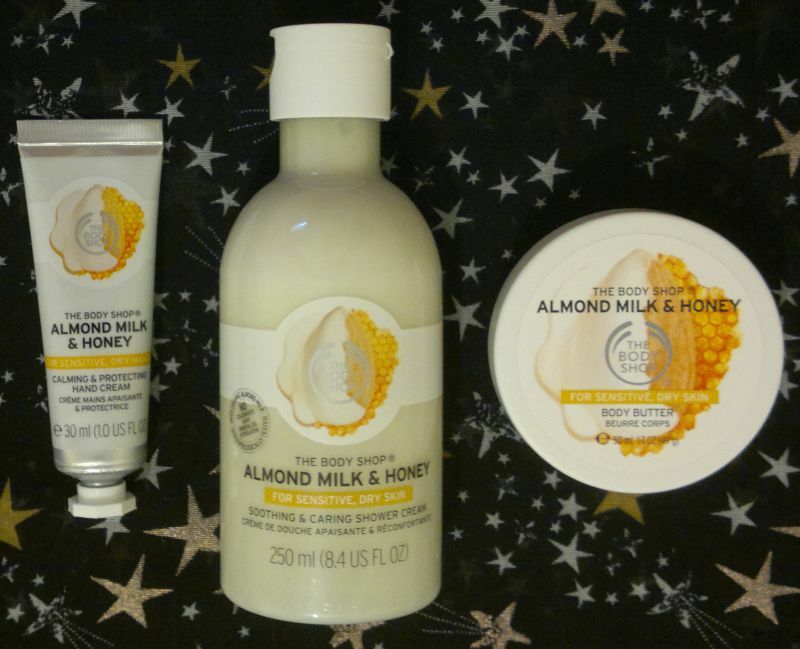 The Body Shop Almond Milk & Honey hand cream is available as 30ml, the shower cream is available as 60ml and 250ml, and the body butter is available as 50ml and 200ml. Nivea Age-Defying Q10 Hand Cream – With SPF! Hi there! Since summer has basically arrived, I thought I should try and review a hand cream with SPF! So today’s post is about Nivea’s Age Defying Q10 Hand Cream. This hand cream is aimed at people who want an anti-wrinkle hand cream that takes care of dry hands, protects hands from sun damage and helps prevent sun spots. So how’s this hand cream? I think it’s great! It’s quite rich, so it’s not the formula you’d expect from a summer hand cream. But it’s not sticky and it’s absorbed quickly. I don’t think that this hand cream made my hands appear younger. However, I’ve always taken care of my hands (I think that my hands look 15 years younger than they are), so I wouldn’t expect a new product to do wonders anyway. I also don’t have any sun spots, but I am satisfied that this hand cream protects my skin from sun damage. My hands look as pale as they did in March, so I trust the SPF in this hand cream. Oh, one more thing… this hand cream smells lovely. I’d describe the fragrance as happy and yellow – which is perfect for summer! Nivea’s Age-Defying Q10 Hand Cream (which I would recommend to everyone) is available as 75ml for £4. Nivea used to do 100ml tubes (like the ones I have) for about the same price. However, Nivea updated (= shrunk) the packaging of this hand cream. If you wonder if the 100ml tubes are still around… yes, they are! Just a few weeks ago I found this hand cream at Poundland (or Poundworld?). And I bought 5 tubes for £1 each. Fantastic value!